VaporDry™ is ideal for applications requiring controlled humidity levels. From lumber operations to milling operations to woodworking, VaporDry™ suits them all. The moisture content of wood is directly proportional to the humidity in the air. To prevent dimensional instability, surface checks, warping and cracking, humidity variations should be minimized. 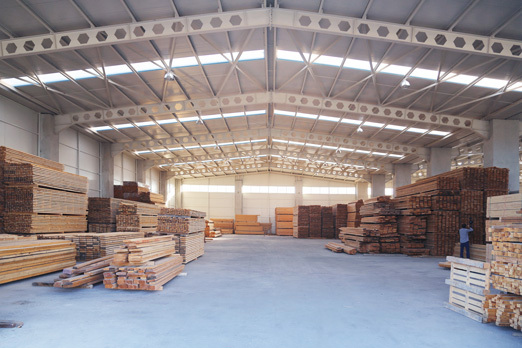 Wood stored, processed and finished at 45-55 %RH (wood moisture content of 8-9%) is proven to better withstand typical temperature and humidity variations in end-use. Let VaporDry™ control your humidity level and optimize your lumber and milling operations.